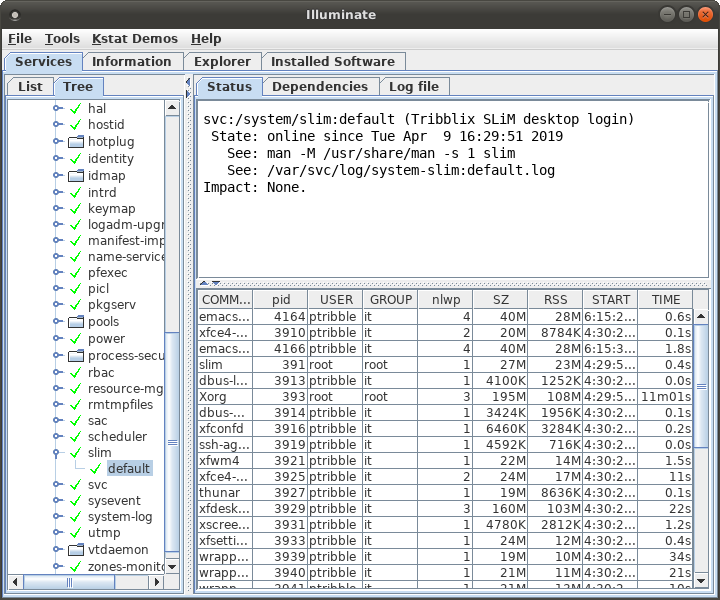 Above is an image of illuminate's services display, with the processes in the selected service being updated in a top-like display courtesy of JProc. 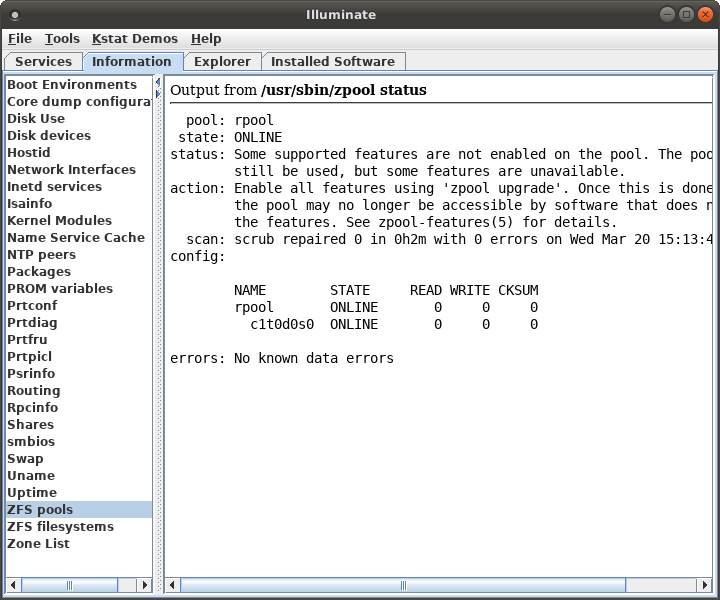 And above is the basic information panel - it shows you the relevant output, and the command used to obtain it. 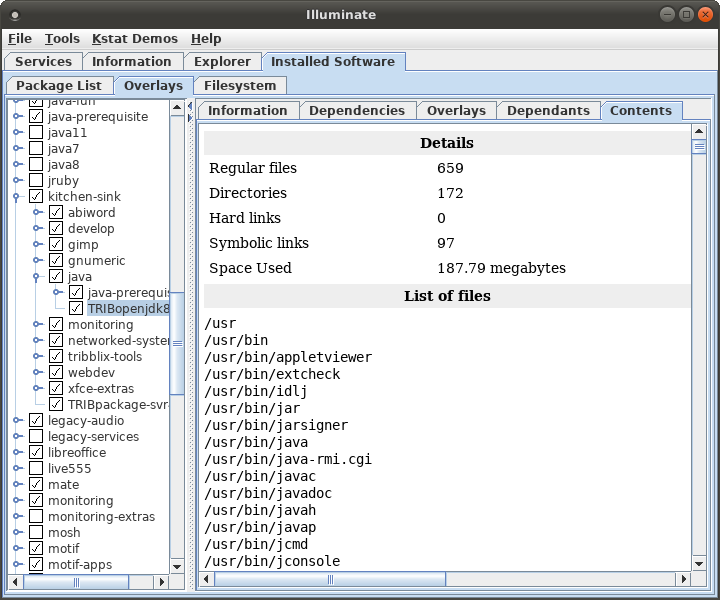 The above image shows illuminate in the System Explorer tab. The aim is to show you what's in your system and give you easy access to whatever information we can glean about what you have. The above image shows SVR4 packages. 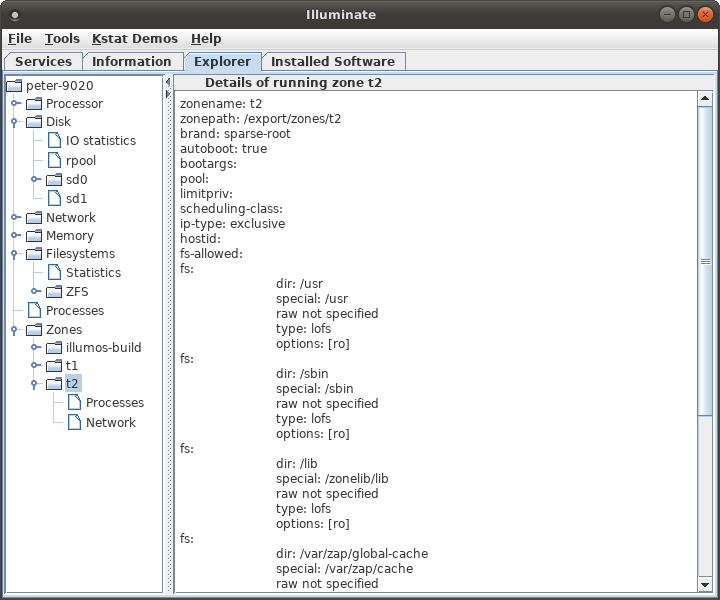 The software tab is pretty specific to Tribblix, whereas the other tabs ought to work just fine on other illumos distributions..